Things have been awfully quiet here for many months now, with just the occasional artists’ book post every now and then. My world has revolved around poetry in the months surrounding the publication of my second poetry book Koko meren laajuus in August. 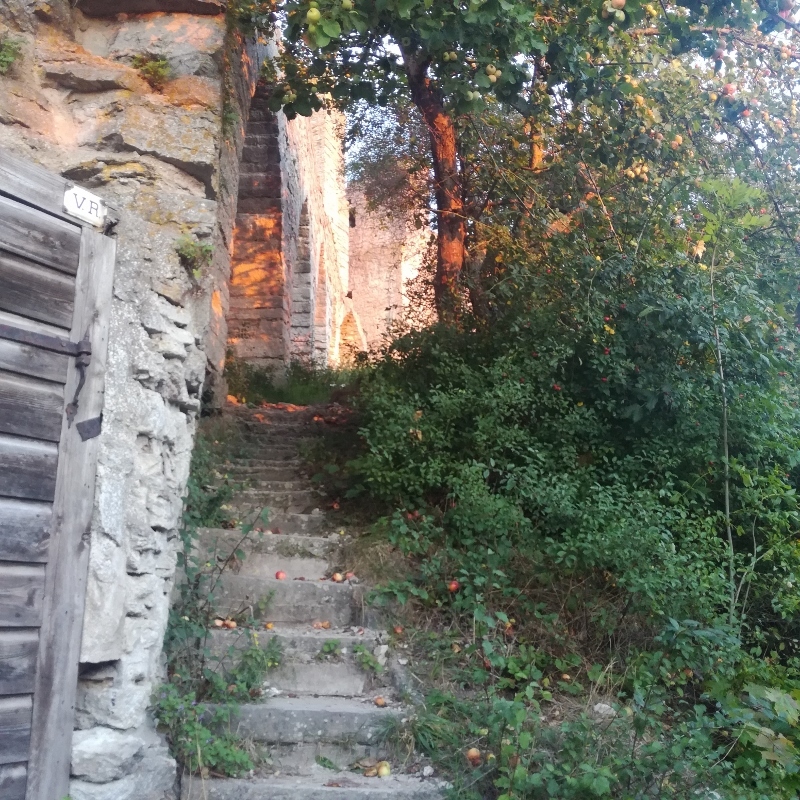 I spent September in Visby, Gotland, Sweden, writing new poems as well as an article about artists’ books (in Finnish only, sorry! ), but now it’s finally time to make room for bookbinding again. 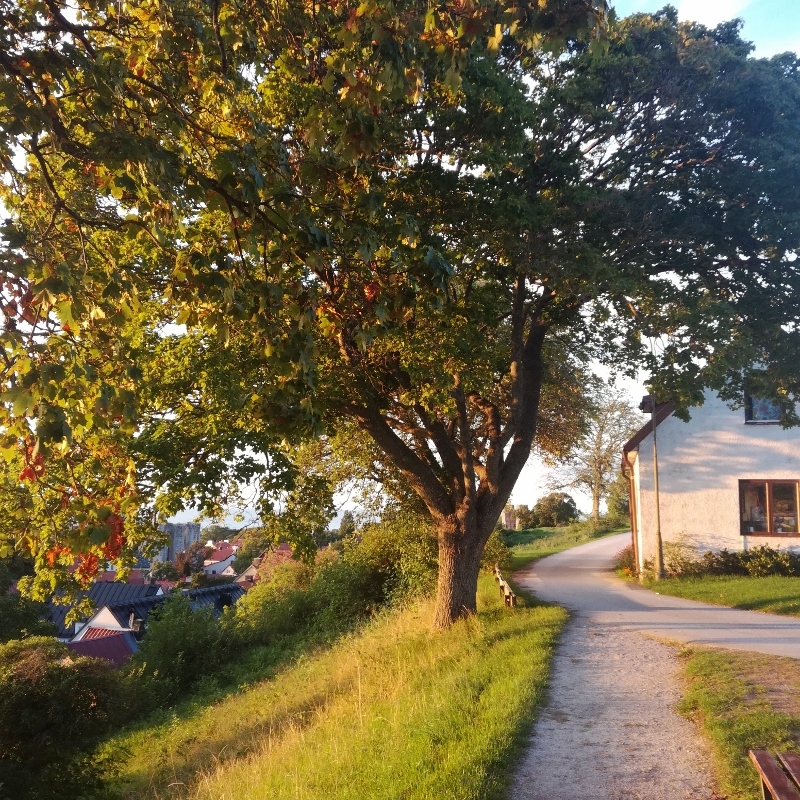 Today I’m sharing with you a book I finished just before I left for Visby, and some of my favourite photos I took during my stay at the writers’ and translators’ residence. New books are drying in the press as I’m typing this, so new treats are here sooner than you’d think. You can find this beauty in the Paperiaarre shop. 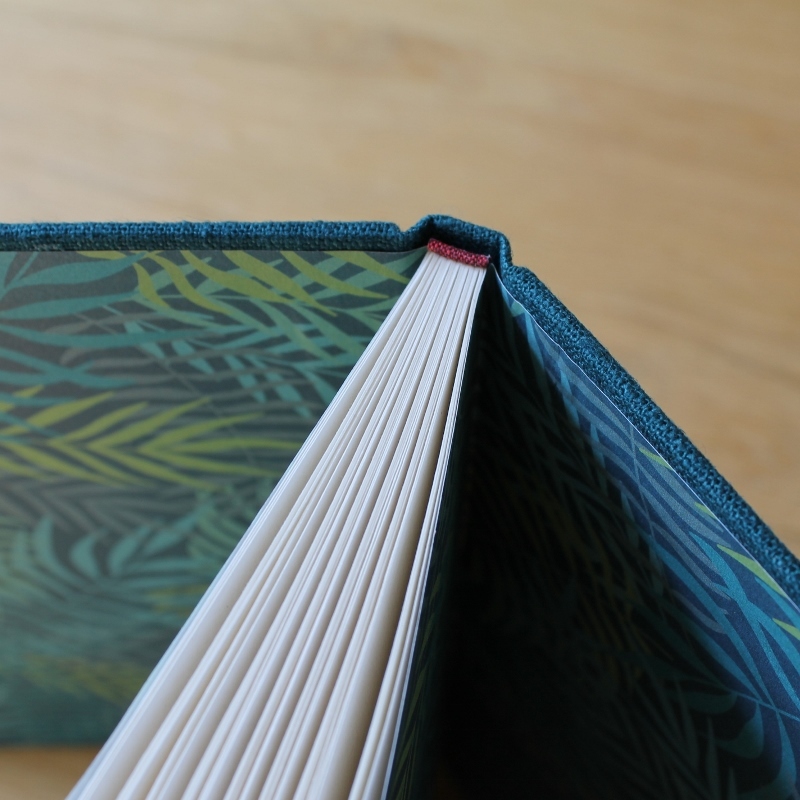 I love this pairing of teal blue linen and the teal/green leafy print paper I used for endpapers. Coming next: smaller notebooks with print endpapers, but first, let’s take a look at the beautiful Hanseatic city of Visby and the island of Gotland. Knowing my home would be taken over by a crew of workmen, I applied for a writers’ residency in Visby for September. Gotland is much farther down South than Helsinki and the weather was brilliant apart from a storm or two, so I actually managed to extend my summer by a month with this trip. Visby is a very small city (I’d call it a town, but it’s not my business to correct how others describe their home) and the most idyllic part of it is located inside medieval city walls. 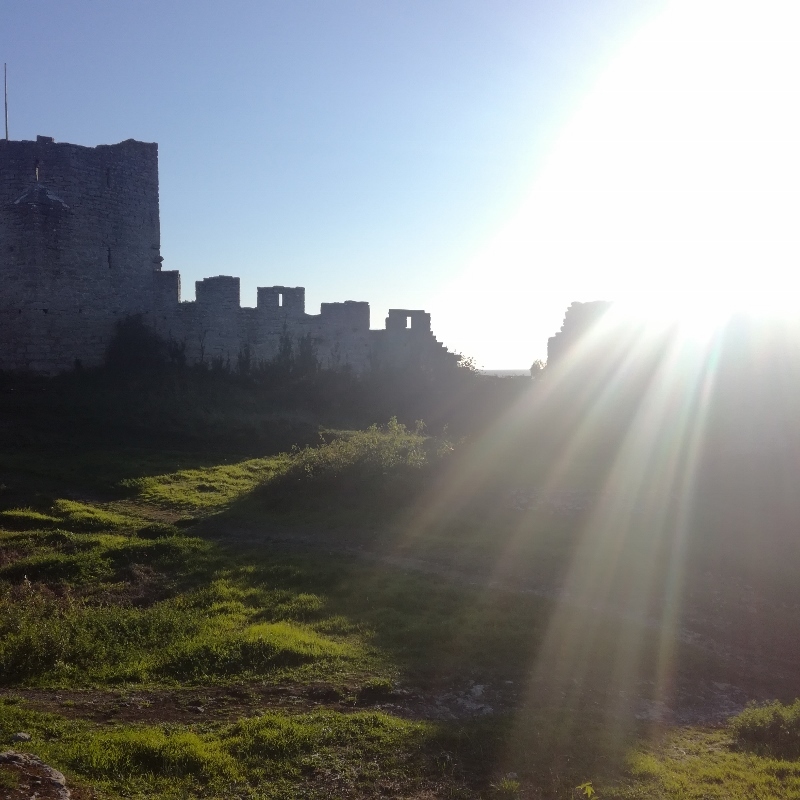 The residency is inside the walls, on a high cliff, right next to the Visby Cathedral - a location beyond amazing. I enjoyed the views, the sunsets, the smell of apples and pears everywhere, the walks around the city walls and by the sea. Once I got back home it took me a while to adjust to a skyline without a seemingly endless sky playing a big part of the view. This is a colour combinations that will definitely show up in my work soon! I also got to go on an island excursion with some really nice writers and translators. Met a bunch cows at När Lighthouse (and around some impressive bronze age gravesites, too). Our excursion took place on what felt like the last day of summer, and the island really showed its best to us. Even more important than the gorgeous surroundings and fantastic sunsets was the community of writers and translators with whom I got to spend my four weeks (and some magnificent dinners). During those weeks some lovely people left and some lovely new people arrived. There was this bittersweet sense of temporariness in the air, which by the way, was unbelievably fresh. All these things feed my creativity and I can’t wait to go back some day (soon, I hope)! Cloudy days in Helsinki. Perfect for some poetry stuff, lots of bookbinding, and lots of other creative work, I hope. See you soon. Apparently I'm still keeping things tiny! Or at least pocket-size! This dark purple is one of my personal favourites (just got some more from Zelluloos), but I do like them all, especially when they're all together. Still, I'm glad when they soon start making their way to different corners of the world. If you want one, they're now in the shop just waiting for you to pick your favourite(s). Next week I'll be hard at work with my poetry book, so instead of binding new books and sharing them here I'm going to show you a little peek of the Nordic Bookbinding 2018 exhibition currently on show at the National Library of Finland. It really is worth a visit if you're close by! ...just in time for the season when you need to find what seems like a million tiny presents. These little books measure only 7,9x11,1x0,9cm / 3.1"x4.4"x0.4" and they have 62 pages of off-white drawing paper suitable for most pens, pencils and dry media. That means they'll fit into anyone's pocket and suit pretty much anyone's needs - notes, scribbles, sketches, travel journal entries... 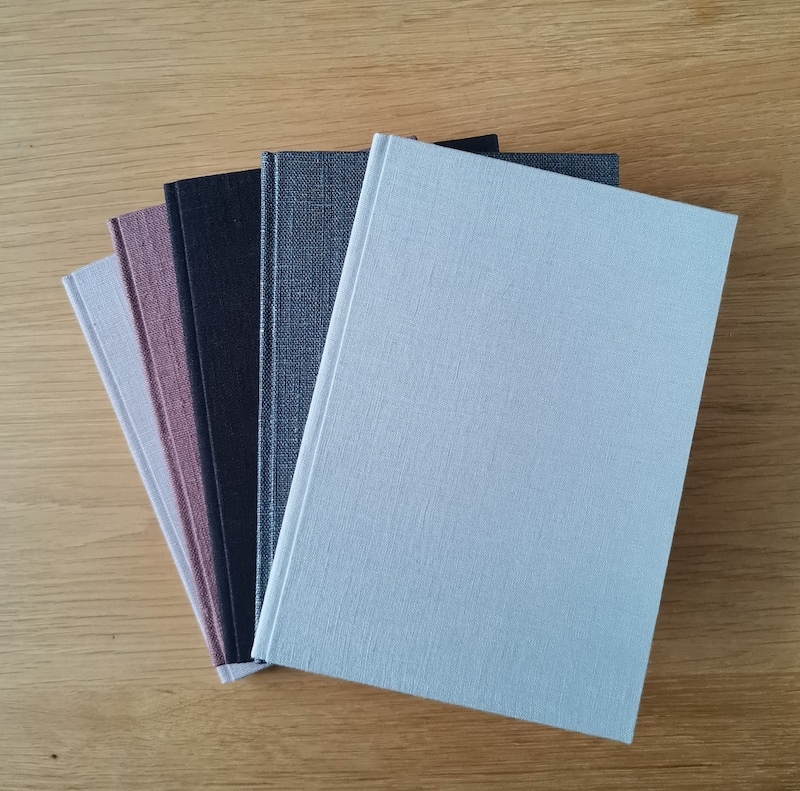 I made each of the twelve books a different colour, so the fastest one out there also has the chance to buy the whole lot and have a different book for each month of the year. 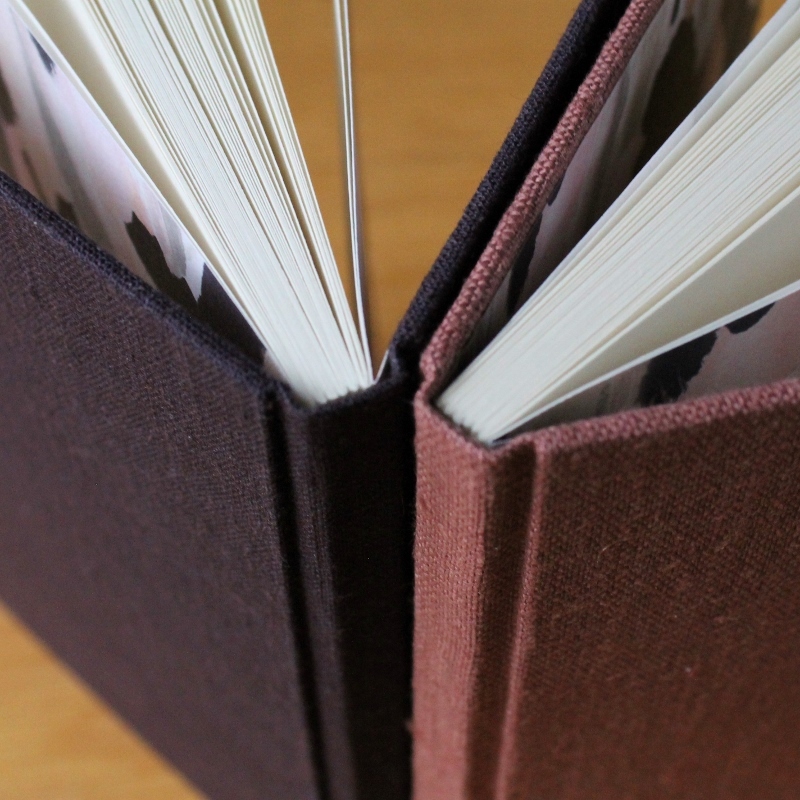 The most frequent concern people seem to have with handmade books is that their ideas aren't fancy enough for such fancy books, or that they have such ugly handwriting it doesn't belong in a pretty book. These books are super super simple and plain, and as such a very easy way to ease into the pleasures of using a carefully crafted notebook instead of those factory made ones you can barely get to open without cracking the spine. 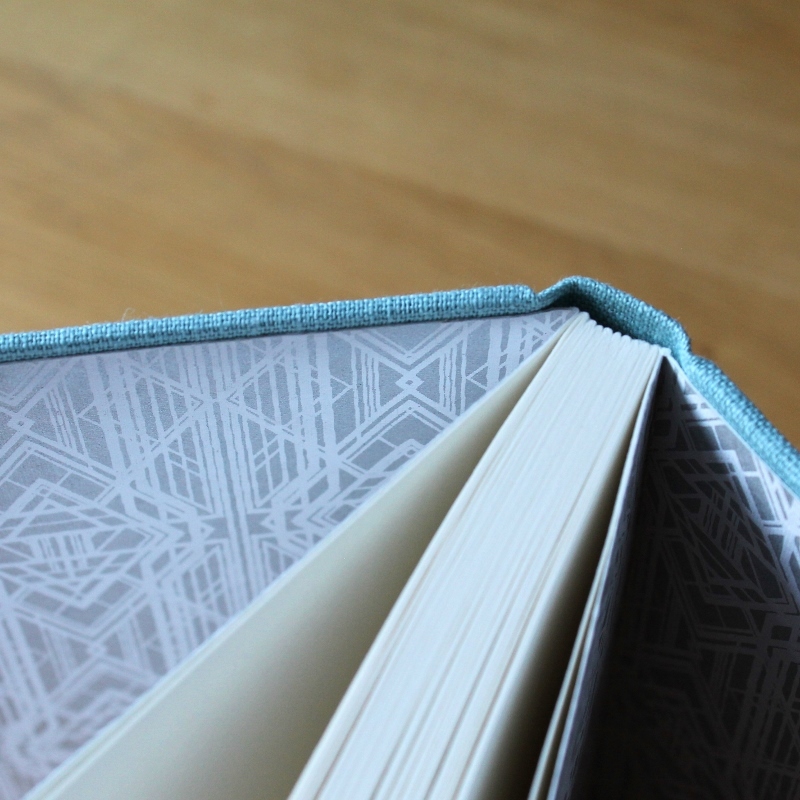 Also, I think giving someone a beautiful handmade notebook as a gift signals that you value their thoughts highly enough to think they should be in a pretty book. And you don't need to break the bank to get one of these either... Find the whole lot in the shop now. Holiday season plans are in full action here. Origami stars are taking over my days as well as a certain recurring matchbox related project I'm pretty excited about. What does your November look like? I hope it's not as dark and busy as mine!